This village chapel is at the heart of the local community which it serves alongside the Parish Church, with which it shares a good relationship. The Wednesday weekly coffee morning is well attended by the villagers, whose activities fund raise for the church’s work along with the craft and knitting groups. 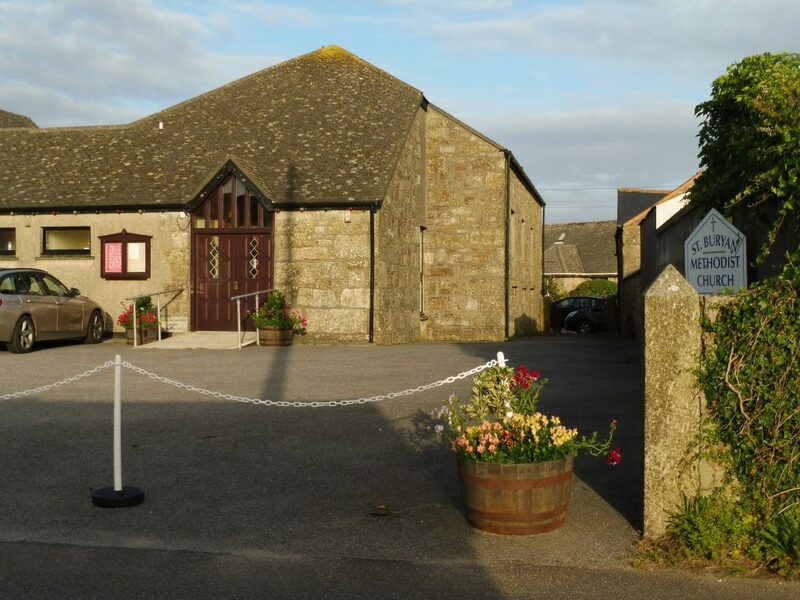 Concerts, which include the Buriana Singers, Male Voice Choir, Pipers Choir and children from the local school, make good use of the chapel’s excellent modern facilities throughout the year, as do exhibitions which include Arts and Craft, the Annual Horticultural Show and Feast Fair. Other groups, the Sewing Café, Bridge Club and Buriana Singers, use the premises weekly and the Friendship Club fortnightly. Worship is mainly traditional, but with an openness to innovation, including guitar accompanied choruses and quarterly reflective Iona-style services in candlelight, some of which are joined by the local Anglicans. A Prayer and Share group also meet on Thursdays. We warmly invite you to share the love of God in our activities and worship. Download the church information sheet.